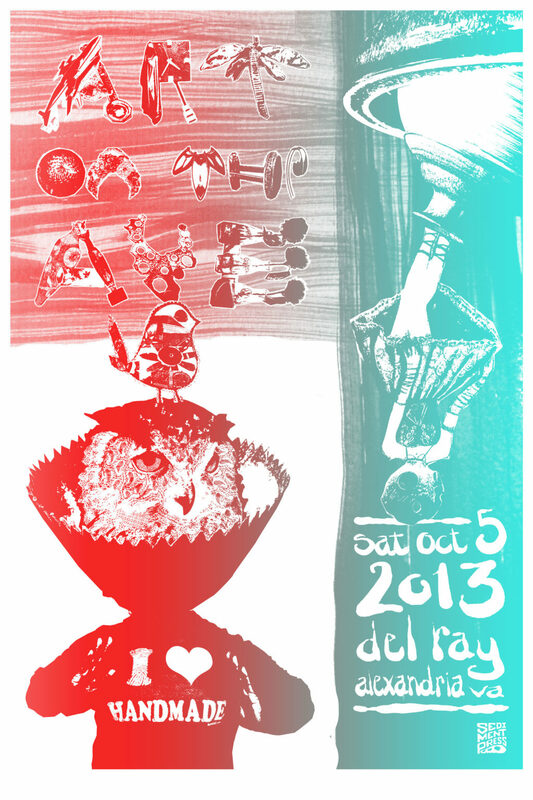 Event day poster for Art on the Ave 2013. It was part of a live screenprinting demonstration where attendees could print their own poster and take it home with them. There are a few remaining prints left over from the day of the event. Each one has a unique color blend.